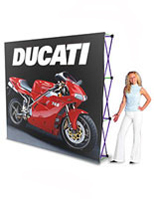 Trade show displays are among the largest product lines shipping from our warehouse. 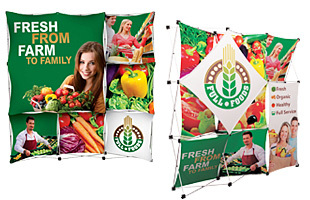 Everyday, portable tradeshow displays are shipped to marketing and sales departments nationwide. 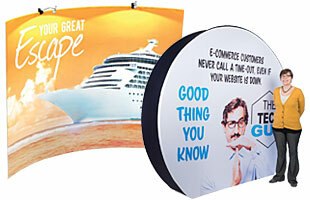 Pop up graphic backwalls are a popular line of trade show displays. 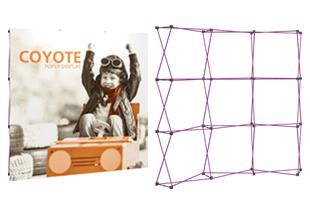 These pop up exhibits are manufactured utilizing a lightweight folding frame which packs into an included carrying case. 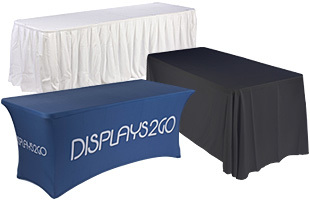 We offer two types of these trade show displays. Hook & loop exhibits booths without custom graphics and full color printed pop up banners. 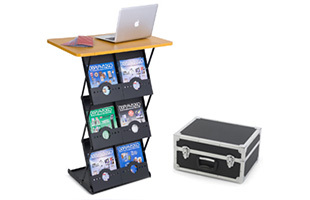 These trade show displays are so convenient that they set up in a snap! The full color pop ups offer bright, custom color graphics, while the fabric booths allow for simple updates and customizations. Because the hook & loop fastening fabric holds a wide variety of add-ons like literature frames and pockets, exhibitors can reconfigure them as often as needed. These trade show displays showcase your company's products and services to potential customers in an easy and inexpensive way! There are several fabric color choice and sizes to choose from for your exhibits. These exhibits booths, trade show displays are shipped daily in the fastest lead time possible. Many of these standard accessories ship same day when in stock. 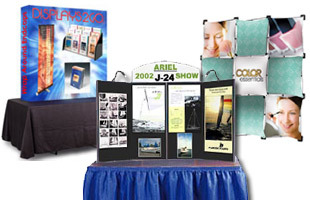 Trade show displays, also known as trade show booths, sell your products and services at business expos. 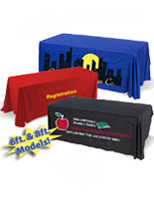 Booth exhibits, along with banner stands, custom tablecloths, and more, are offered at terrific prices even with customized graphics banners. 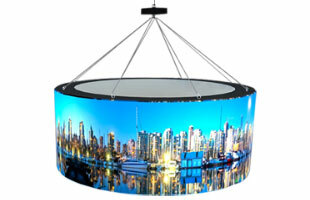 These exhibits accessories, trade show booths are easy to transport from convention to convention. 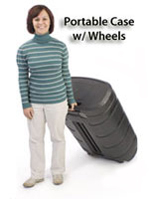 Most include a carrying case or bag to make it easier, but we also offer an array of travel containers designed to protect your investment and keep them organized to prevent misplaced hardware or lost items. 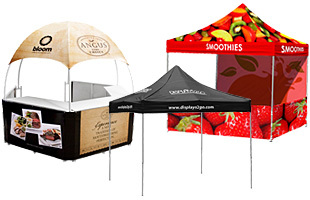 Booths exhibits are important marketing tools and worth the investment to keep a booth looking sharp. 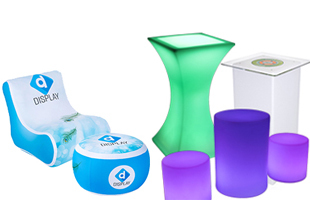 Exhibits products fold for storage and transport and come in many popular color choices. Make your next presentation, expo or convention a success with help from America's largest display warehouse! Within this line of exhibits display fixtures shoppers will find a wide range of supplies and accessories. 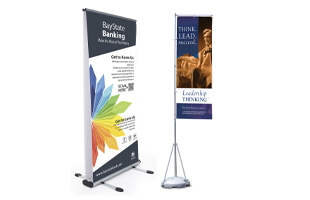 Banner graphic displays can make a strong visual impact at your next event. A exhibit booth display, such as a graphic backwall makes a lasting impression on curious onlookers. 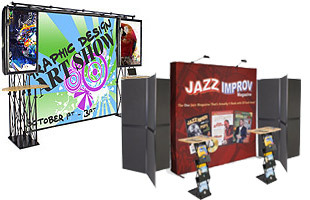 This site offers exhibitors many options for designing an effective and successful booth. A exhibits booth like a portable counter is a convenient place to display literature and demonstrate products, while portable flooring can ease the feet of tired show-goers. 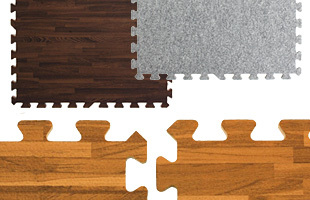 Booth accessories can also help separate exhibitors from the competition with fit and finish. Buy an essential for exhibits such as a carrying case, folding chair, or prize wheel to make your expo event an enjoyable one. 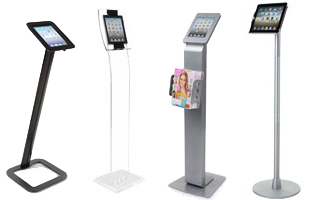 Touch fastener strips, sign frames, and brochure holders attach to many display booths, pop up kiosks and tabletop boards. 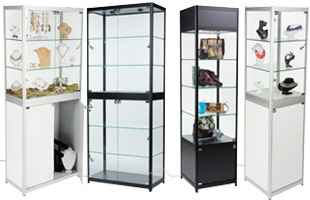 All of these exhibition displays supplies ensure professional success with your attendees. Because conventions generate business and enhance your company's success, it is best to put your best foot forward at all of your events. 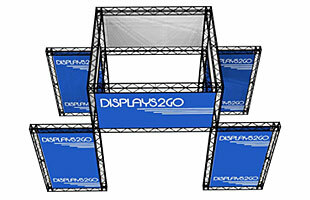 How are these trade shows displays shipped? 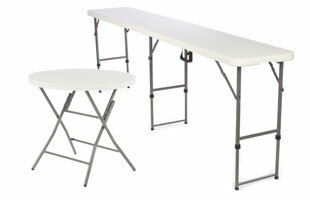 The majority of these graphics and other booth accessories typically ship via standard methods. Some of these trade shows displays are too large for UPS or Fed Ex and must be shipped by a freight carrier. Customers should keep in mind that any of the custom graphics merchandise has a set number of days for printing prior to shipping. 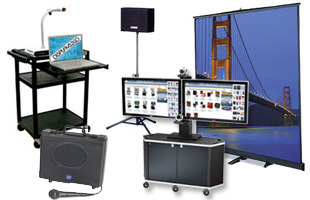 What are some important considerations in purchasing displays for trade shows? Exhibitors should shop for new graphics and supplies months in advance of their show date as most custom fixtures take a few extra days to complete the print process. 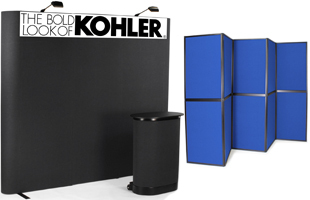 Choose displays for trade shows that can be easily assembled by one person. Exhibitors should design their booth in a way that foot traffic is able to pass through without feeling crowded or overwhelmed. This website features a complete line of expo supplies including booth exhibits, brochure holders, pop ups, table covers, and much more. Ninety eight percent of orders are shipped within 24-48 hours. Products that require custom artwork typically ship within 5-7 days of approval. Browse this online catalog to see the complete selection. Search from thousands of products, in stock & ready to ship. Place your order online with our secure checkout or call one of the knowledgeable customer service representatives. This site is the country's one-stop shopping source for all POP needs. We have been manufacturing and selling quality merchandise since 1974 and continue to add new product lines to this catalog!! In most cases when an order is placed before 3PM EST on a business day, it will ship that day. This site is available for reference, to place orders, and general customer service 24/7. As an added convenience there is also live chat available Monday thru Friday during normal business hours. Get instant access to a live representative that can answer all of your inquiries.